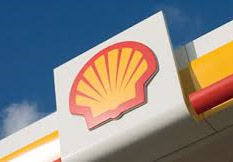 Shell has completed the sale of a 31.2% shareholding in Showa Shell Sekiyu K.K. to Idemitsu Kosan Co. Ltd. for a total amount of JPY 159 billion (approximately USD 1.4 billion). Completion follows anti-trust approval from the Japan Fair Trade Commission. The sale supports Shell’s strategic commitment to focus downstream activity on areas where it can be most competitive. Shell’s upstream, integrated gas, chemicals and trading businesses are not impacted by the sale. Japan remains an important LNG market for Shell. Tags: Idemitsu Kosan Co. Ltd., Shell, Showa Shell Sekiyu K.K.